These clinical signs are accompanied by irregular periods approximately every 45 days, with 3 days of bleeding. There are also symptoms of Premenstrual Syndrome (PMS) accompanied by sweet cravings. There is a weight gain of about 10 kilos in a two year period. There is a history of chronic constipation, bowel distension and flatulence. Migraines are also quite frequent. Thyroid function tests show a hypothyroid picture and has been prescribed 50 mcg thyroxine – this seems to run in the mother’s family. Blood test showed low levels of Glucose-6-phosphate dehydrogenase (G6PD) = 0.45 U/GHB (7.0-20.5). This is an X-linked recessive hereditary disease characterized by abnormally low levels of G6PD, a metabolic enzyme involved in the pentose phosphate pathway, especially important in red blood cell metabolism. Individuals with the disease may exhibit non-immune hemolytic anemia in response to a number of causes, most commonly infection or exposure to certain medications or chemicals. G6PD deficiency is closely linked to favism, a disorder characterized by a hemolytic reaction to consumption of broad beans. Hepatic enzymes were somewhat elevated GGT = 32 U/L (7-32); GOT = 35 (<32); GPT = 40 (<31). Progesterone levels were also low at 1.08 (5.3-86). TSH was low at 0.28 μIU/ml (0.4-4) but T4 and T3 were within the normal range. This may be an early sign of Hashimoto’s thyroiditis. Iron and serum ferritin levels are also low and ESR levels at 27 indicate an active inflammation. VEGA testing for food intolerances found wheat, rice, milk products and lactose, eggs, chicken, nightshade family of vegetables, peas, citrus fruits and bananas. Lactose is her primary intolerance as ART testing shows that this completely blocks regulation. ART testing has shown tooth foci on teeth 16 (stomach meridian), 25, 36 and 47 (all large intestine meridian). There were also three scar foci detected on the right leg, scars on both breasts and a small scar on the chin. In addition, there were organ weaknesses such as spleen, pituitary, adrenals, ascending and descending colon and lymphatics. Ascending colon was her primary organ that was causing blocked regulation. She is also resonating with Ascaris and Oxyuren parasites. Thermography screening showed the following: slight area of local hyperthermia over the left side of the mouth which may indicate either dental or periodontal infection. There were slight areas of hyperthermia in the upper right quadrants of both breasts that do not appear suspicious and there are no neovascularities, but should be monitored for change. Iris analysis showed a very toxic, dark area around the large intestine, liver irritation, a genetic predisposition towards pancreatic weakness (exocrine), thyroid markings – has been diagnosed with hypothyroidism. There was also a cervical subluxation indicated with lacunas (weak areas) in the adrenal glands. Hair Tissue Mineral Analysis indicated low levels of copper which is a critical mineral for building and repairing connective tissue, including the hair and nails, to produce energy (required for the final steps of the Kreb’s cycle in the electron transport system), immune system, the thyroid and adrenal glands, it is closely related to oestrogen metabolism and can be one of the causes of ovarian cysts, and it is also required for the stimulation of neurotransmitter substances such as epinephrine, norepinephrine and dopamine, as well as serotonin production (required for monomine oxidase enzyme). Deficiencies can cause depression, anxiety and memory loss. Manganese and molybdenum were also low – Manganese is an essential trace nutrient in all forms of life. It is important for the production of a number of enzymes such as oxidoreductases, transferases, hydrolases, lyases, isomerases, ligases, lectins, and integrins. The best known manganese-containing polypeptides may be arginase and Mn-containing superoxide dismutase (Mn-SOD), present in all mitochondria. Molybdenum is present in approximately 20 enzymes in the body, including aldehyde oxidase, sulfite oxidase and xanthine oxidase. In some animals, the oxidation of xanthine to uric acid, a process of purine catabolism, is catalyzed by xanthine oxidase, a molybdenum-containing enzyme. The activity of xanthine oxidase is directly proportional to the amount of molybdenum in the body. So, low levels of manganese can lead to high uric acid levels. There were also elevated levels of circulating mercury found in the hair analysis – this is probably related to amalgam removal some years ago. Darkfield microscopy of a live blood sample indicated an acidic milieu with a protit veil and very sluggish WBC’s – there were also signs of a pancreatic weakness as there were undigested fat globules in the fasting blood sample that was examined. There were also indications of iron, folic acid and vitamin B12 deficiency. There were many reasons why Miss S. had endocrine imbalances and polycystic ovaries. Progesterone is the primary raw material for producing cortisol. When the glands are in overdrive, the body will divert progesterone to the adrenals to support cortisol production. With reduced progesterone, the body may experience estrogen dominance, i.e. PMS, fibroids, polycystic ovaries, heavy bleeding, breast tenderness, weight gain, etc. Excessive cortisol also blocks progesterone receptors, further contributing to low progesterone. These two imbalances are the primary reasons why adrenal exhaustion leads to estrogen dominance. The thyroid, which regulates metabolism, may turn down its hormonal activity in an attempt to reverse adrenal overdrive. Some symptoms of hypothyroidism include fatigue, weight gain, fibroids, endometriosis, ovarian cysts, heavy bleeding, fibrocystic breast disease, depression, PMS, migraines, lack of concentration, cold hands and feet, menopausal symptoms, miscarriage and infertility. Hypothalamus-Pituitary-Adrenal axis activation due to stress causes decreased production of thyroid-stimulating hormone (TSH), and blocks inactive thyroxin’s conversion to the biologically active triiodothyronine. (T3), which has the greatest effect on the body. Her holistic treatment programme was therefore designed to eliminate these underlying causes and regain balance. She detoxified on many levels including a 15-day alkaline detoxification diet, liver and gallbladder cleanse, parasite cleanses using the Hulda Clark protocol. She also underwent a series of ozone saunas and Matrix Regeneration Therapy for deep tissue cleansing, which also cleared a large proportion of cellulite. Her supplement programme consisted of building the adrenals and thyroid which are two major endocrine organs underlying menstrual imbalances and polycystic ovaries. She began taking taking a high-potency multivitamin formula, omega 3,6 and 9 fatty acids, a formula consisting of B vitamins (especially B5), vitamin C, magnesium, manganese, zinc, adaptagenic herbs, adrenal extracts and the amino acids tyrosine as well as iodine taken as Lugol’s solution for the thyroid gland. Milk thistle was also added for the raised hepatic enzymes. 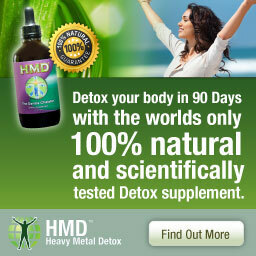 She was also given the natural chelator HMD™ Ultimate Detox protocol for her high mercury levels. 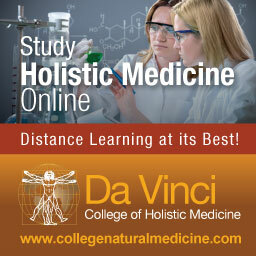 The DaVinci Candida protocol was also followed (see Chapter 5). A herbal formula consisting of Agnus castus (Vitex/Chastetree berry) was also given – this herb stimulates and normalizes the function of the pituitary gland which in turn helps to balance hormone output from the ovaries and to stimulate ovulation. Agnus castus is also useful when there is an excess of prolactin which can be suppressing ovulation. Natural progesterone was also used, which is nearly identical to what the body produces and is manufactured in scientific laboratories from wild yams and soy beans. It is applied on the skin transdermally, and once it reaches a saturation level in the underlying skin tissue, it diffuses into the capillaries, then passes into the general blood circulation for use by the body. Some women feel effects in less than a week of usage. For those who are especially deficient in progesterone, it may take two to three months to restore optimum levels. 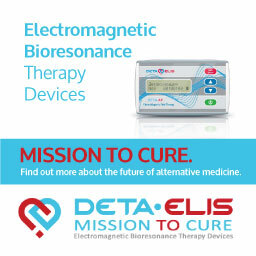 Further treatments included Su Jok therapy and Su Jok acupuncture was used quite extensively, along with bioresonance programmes on the BICOM bioresonance device for hormonal balancing and within a short period of time using the basic correspondence system of the hand and foot her migraines disappeared completely. Constipation had also much improved. The tooth and scar foci were also repolarized using Low Intensity Lazer Therapy. Hyperthermia was also applied on the abdominal and pelvic areas. Within two months she was seeing regular periods on a 28-day cycle with no pains or symptoms of PMS. Within 4 months a further pelvic sonography showed NO FURTHER cysts on either the right or the left ovary – the radiologist did the scan very thoroughly twice to be absolutely certain. The volume of the ovaries had also returned back to normal. Her thyroid function tests were now back to normal – TSH = 1.46 (0.4-4.0); Free T4 = 13.58 (10.3-24.4) and Free T3 = 2.94 (1.45-4.20) and she was now off thyroxine completely. I tend to be quite an anxious person, always running around concerned about everyone’s welfare – it really does take it out of me sometimes. I remember suffering from constipation, migraines, irregular periods and the diagnosed ovarian cysts for a long time. 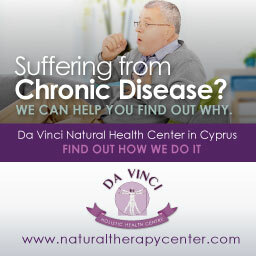 As I am not the person to rush to medical doctors as most of my family have been following natural medicine treatments for a long time, it was only natural that I landed on Dr. Georgiou’s doorstep as I have known him for a long time, given that he was the primary care practitioner for most of my family. It was not long after he took my latest history that he suggested that we do some thorough testing to determine the underlying causes of all these health issues – so we began the 5-hour testing protocol called the IDEL Diagnostic Programme. This was a most interesting experience and one really learns a lot about their health on a very deep level. Many things came up when the results were collated – hormonal issues, systemic Candida, food intolerances, parasites, tooth and scar foci – many, many factors that orthodox medicine does not even look for – all they wanted to do was suppress these problems using hormonal drugs. We immediately got to work to offload these factors and after 4 months it was incredible, I really felt like a new person – my ovarian cysts were gone, completely disappeared even though the radiologist really looked hard to find them before saying: “this is very unusual to see ovarian cysts disappear, have you been taking natural remedies as this is the only explanation?” I admittedly said “yes” and he nodded his head. My periods had regulated with no further pains and PMS, my constipation was gone, so was my bloating, and a big surprise was that my intractable cellulite was also gone, thanks to all the detoxifying regimes including the ozone sauna and the MRT. I am obviously thrilled about my newfound health, even though it is a struggle to keep the balance as stress plays such an important role in our health that it is a juggling act trying to keep the balance. This is an interesting case were we can trace the pathogenesis of disease back to stress related to the hypothalamus-pituitary-adrenal-thyroid axis and the relationship between these organs. 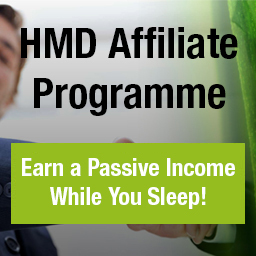 There are also other obvious factors that can upset this balance including nutritional deficiencies, heavy metals being antagonistic to the essential minerals, upsetting the endocrine balance further, constipation causing autointoxication which further aggravates the sensitive endocrine balance, tooth and scar foci that can deregulate the autonomic nervous system and cause various imbalances to the sensitive electromagnetic balance of the body, as well as unbalancing acupuncture meridians. A few simple symptoms with a myriad of causes, but it is always heartening to be able to identify and eliminate these causative factors and help the body repair and rebuild using various natural healing methods where you are doing to the body the least harm. Emsley, John (2001). “Manganese”. Nature’s Building Blocks: An A-Z Guide to the Elements. Oxford, UK: Oxford University Press. pp. 249–253. Law, N. Manganese Redox Enzymes and Model Systems: Properties, Structures, and Reactivity. 46. pp. 305, 1998. Emsley, J. Nature’s Building Blocks. Oxford: Oxford University Press. pp. 262–266, 2001. John Lee, MD, What Your Doctor May Not Tell You About Premenopause, Warner Wellness, p 133, Jan 1999. This consists of taking Walnut tincture, Wormwood and Cloves for a period of 14 days in gradually increasing dosages. Lee, J.R. What Your Doctor May Not Tell You About Menopause. Warner Books, May, 1996. 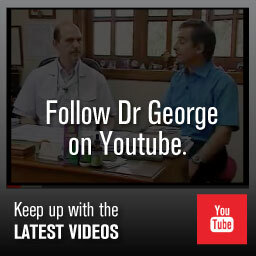 This entry was posted in Testimonials by Dr George Georgiou. Bookmark the permalink.